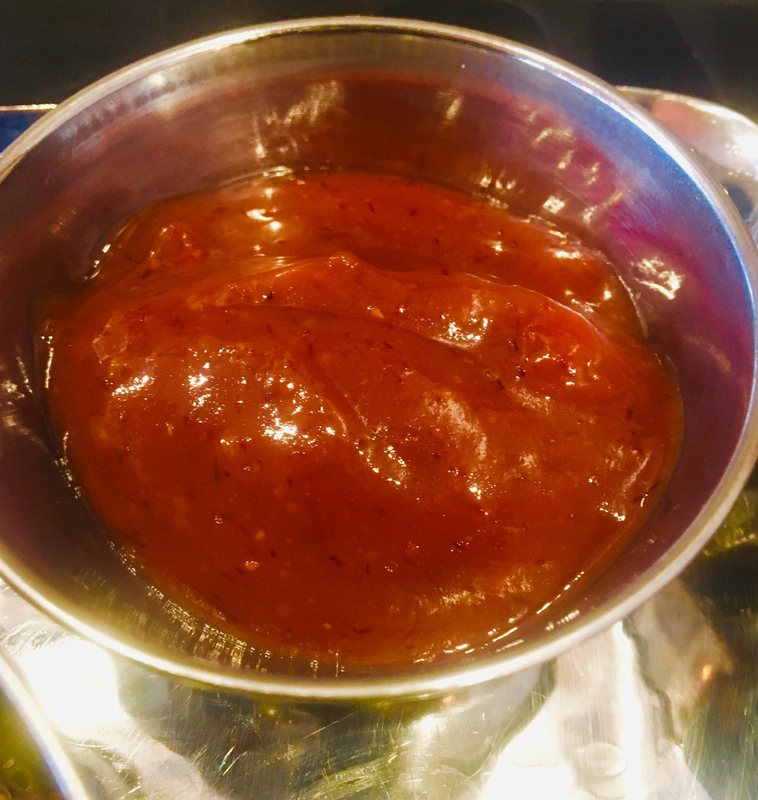 Masala Cranberry & Mango Sauce – Welcome to Creative Rajni! Cranberry sauce made with Indian spices is my way of creating a unique cranberry sauce. Mangoes are in abundance in Kerala. During the mango season, its hard to choose a mango since there’s quite a few varieties to choose from. Hence I thought to combine mangoes into this recipe.The star anise and the cardamom gives a special flavor to this sauce. The aroma of the different spices while cooking this sauce is heavenly. Bring it to a boil and cook until the cranberries and mangoes are well cooked. Allow it to cool. Once cool, take out the cinnamon stick and put it aside. Add cranberries and mango mixture to a blender and make a smooth sauce. If you like more sweetness, more jaggery can be added.